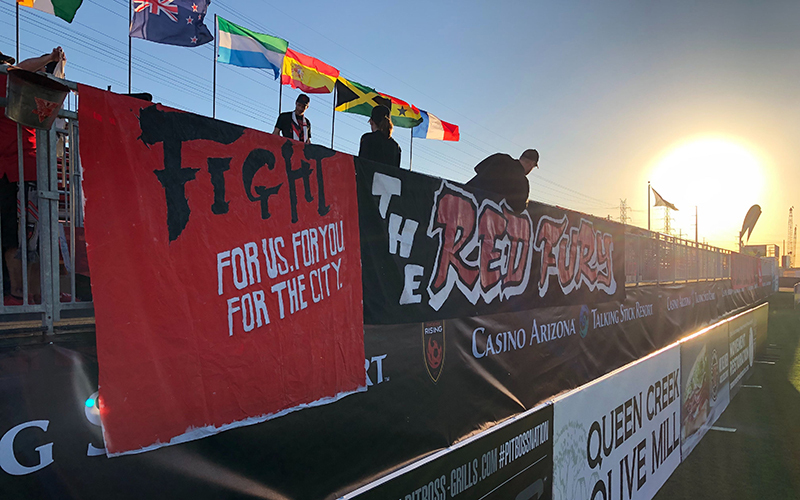 With Phoenix Rising quickly becoming one of Arizona’s favorite teams, support group Red Fury is also flourishing. Originating in 2013 as La Furia Roja, the Fury have been a vital part of Phoenix Rising for all six years. With their loud chants, constant drumming, and overall passionate fandom, they’re impossible to miss at the south end of Casino Arizona Field. As the 2019 USL season gets underway, so do the Fury, who strive to impact each and every home game the Rising play. Cronkite Sports reporter Garrett Otto sat down with the groups top members to talk about how the group got its start, and why it’s still so successful. We’ll hear what an average game day looks like for them, and how they maintain the energy throughout the full 90 minutes. Lastly, the group discusses why they consider each other family, and how they strive to reach into the community around them.